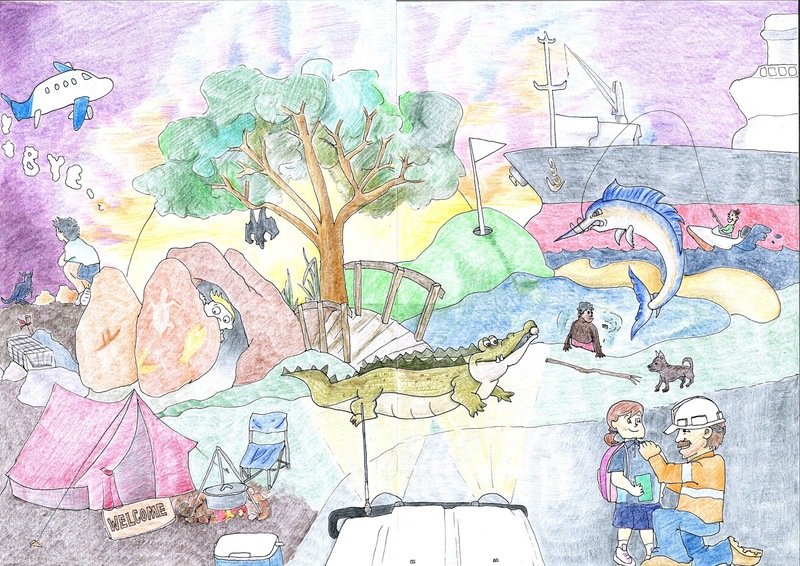 I drew this picture for a competition held by the Country Women’s Association (CWA) on Groote Eylandt. They wanted an original artwork to represented the GE community and its geographical location. My design was chosen to be printed onto a pennant which will be taken to all CWA territory wide meetings.